RAY.M (Pepper Club, Shenzhen) - Chinese House,Tech-house DJ and Rock singer/songwriter. One of the most charismatic and influential personalities in the modern Chinese music industry. Born in Xi'an, moved to Shenzhen to develop his career further in both: rock and electronic music. After gaining international recognition and touring the world with his rock band, he took a significant part in creating the clubbing scene in the south of China. 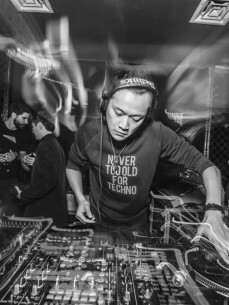 He is the co-founder of Pepper Club, an active promoter and the Secretary General of the Shenzhen Pop Musicians Association.As a DJ he has been mixing records since 1997. He supported big names like Richie Hawtin, Basement Jaxx, Pete Tong, Marshall Jefferson and many more.